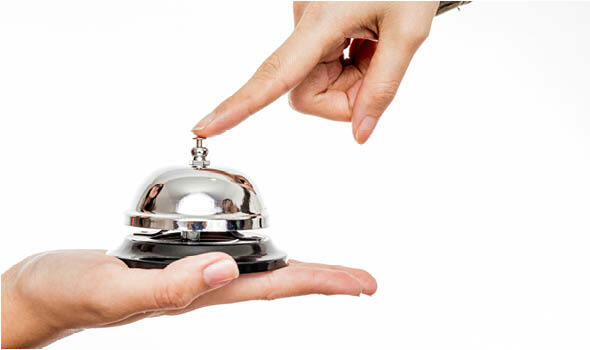 Are You Offering the Services Travelers are Demanding from Small Accommodation Providers? As time goes by, travelers get more and more demanding. Ignoring these trends means you risk getting pushed out of the market and left behind. Free wifi was cited as the most desirable in-room amenity (Hotels.com). In fact, travelers now have the ability to filter out hotels that don’t offer free wifi when searching on meta search engines and OTAs. With at least 64% of hotels offering free wifi, you truly will lose points if you refuse to offer it (especially with millennials or business travelers). Small accommodation providers have a leg up on the big competition, because bandwidth and signal is less of an issue. Large hotels say it’s too expensive to install so many routers and maintain a system, especially when bandwidth keeps getting pushed to its limit. Increase your room rates as needed to cover the costs. Go to a tiered pricing approach; free for low bandwidth users who just want to check emails and use social media; and premium bandwidth for those willing to pay. Use a cumulative approach for the length of time the wifi is being used. Guests pay to use it for a certain number of hours, and are able to log in and out. They are only charged for the amount of time that they are logged in. This provides more value than a continuous approach where guests pay for 24 hour access but they may not be using it for the entirety of that time. Add a wifi package as an optional extra at the time of booking through your all-in-one booking management solution. A recent traveler survey of travelers in six European countries found that hotel breakfasts are of utmost importance during their stay. Travelers place great value on the provision of local specialties, freshly prepared eggs and various types of coffee. Guests can become angry if they notice that dishes from the previous day appear again or that the buffet is not regularly topped up. The third most common point to annoy guests is unfriendly staff. In terms of price, most guests are prepared to spend 5 to 10 Euros for breakfast in addition to the cost of the room. These days, travelers are keen to bring their furry friends along, and hotels are beginning to comply. The Travel Industry Association of America reports about 30 million people travel with pets each year (Source). 51% of travelers with pets say they would bring their pets along on every vacation if they could (AAA/Best Western survey). 85% of pet travelers travel with dogs, while 21% travel with cats (AAA/Best Western survey). What’s even more interesting for small accommodation providers is that there is money to made when travelers stay with their pets. A recent survey found that the owner’s desires and convenience was the top priority, with the pet’s comfort and fun a close second priority. A small minority cited keeping costs down as being a priority. Pets are a great chance to upsell – you can charge extra for their beds, toys, and any additional services like grooming and pet sitting. Travelers want to keep fit – whether they’re at home or at their preferred accommodation. Gyms and fitness facilities need to keep up with the latest trends to get fitness conscious travelers to stay with you – and the good news is it’s not all that expensive to achieve. Instead of stuffing gyms with lots of equipment, accommodations are now giving guests a lot of space to do mat and band exercises, crossfit, yoga and stretching. Cleanliness is a top priority. Provide handy wipe dispensers so guests can clean machines after use, and make sure the floor is always cleaned. This is an absolute must for every hotel gym to ensure guests feel comfortable. Your staple weight and cardio equipment should be available. Have at least one cardio machine (treadmill or cross-trainer), and one bench with a full set of weights. An in-room workout pack (dumb bells, DVDs, a jump rope, an exercise mat). Passes to your local gym. Wellness tourism is all travel associated with the pursuit of maintaining or enhancing one’s personal wellbeing. The trend has erupted in recent years, and shows no signs of slowing down. A recent study from SRI International estimates that health and wellness-focused travel will reach $678.5 billion in the next four years. An estimated 17 million travelers identify themselves as being ‘health and wellness focused’, with 40% of them traveling regularly (HVS). Because health and wellness is such a lucrative trend, in 2015 small accommodation providers should try to find ways to capitalise on it. There you have it – 5 of this year’s hottest trends. Why not download this FREE ebook on creating an irresistible online presence, mastering distribution and reservation management explained?